On this, the Home Page, you will find Current News, Notifications, Messages and Events etc. 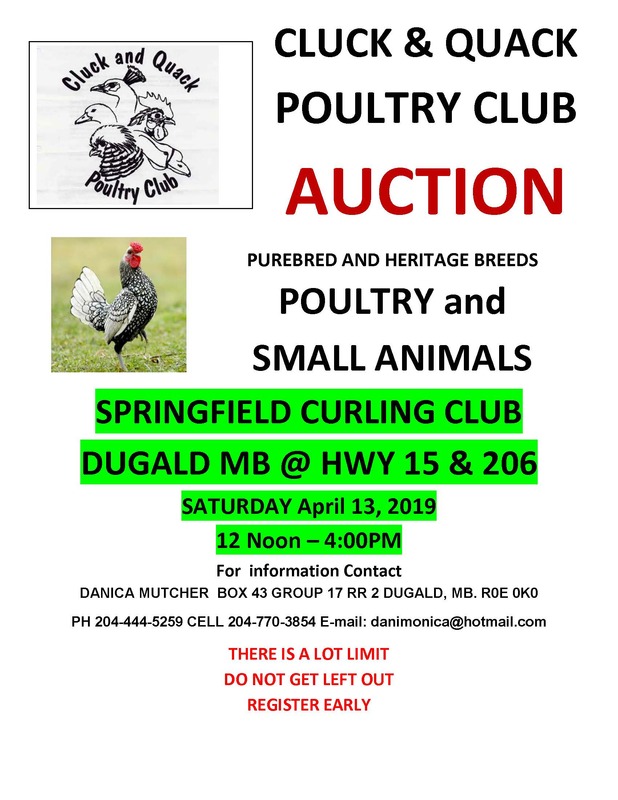 2019 Spring Auction: Sat., April 13th 2019, Springfield Curling Club, Corner of 15 & 206, Dugald, MB. Click the image (Left) to enlarge and to copy & past online.